Sunshine Through the Rain: Colour, beautiful colour! 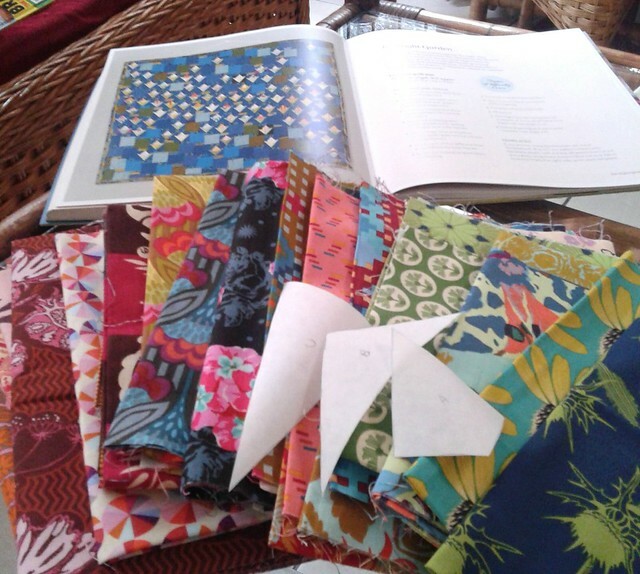 Ever since I started quilting I have been collecting fabric from one of my favourite designers - Anna Maria Horner. The way her different fabrics go together to create a beautiful bright array of overwhelming colour always grabs me, and makes me feel so so happy! My long term aim is to use the fabric I have collected to make a quilt for myself, but I couldn't resist the AMH mini-quilt swap on Instagram, and thought it was a good way to have a taste of what sewing with this fabric will be like! My swap partner seemed to like a mixture of bright fabrics with low volume, and I felt like I was up for a challenge and trying something new. After flicking through my quilting books I was grabbed by 'The Night Garden' quilt by Sarah Fielke in her book 'Quilting from Little Things'. This quilt involves sewing 'notorious' Y-seams and also uses a 'Step-Down' technique for piecing, both of which I hadn't tried before. I have to say that without this brilliant Y-seams tutorial from Fresh Lemons Quilts, and Sarah Fielke's Craftsy class which walks you through the 'Step-Down' piecing technique, I would have struggled. But after studying both of these, this mini quilt came together nicely, and I really enjoyed the Step-Down piecing especially. I decided to hand quilt the mini using Perle 8 cotton, and went with a Cotton and Steel sparkly binding. For the back I used a lovely Loulouthi print, and I love the texture that the hand quilting brings to this. I hope my swap partner loves this mini quilt as much as I do! 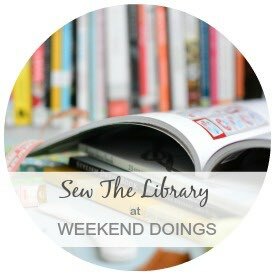 Linking up with Finish it Up Friday and Sew the Library. That's lovely, I have plans for partial seams in a future project too, they're so effective. It's totally lovely Deb, you've done such a great job and I'm sure your partner is going to be smitten. 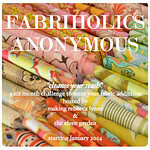 You've inspired me to get stuck into some scary y seams and I won't be fearful of the step down should I ever need it! How wonderful conquering Y Seams and step down piecing all at once. The mini is fantastic, and I am really liking the touch of hand quilting. Lovely finish! I've watched the step down vid a few times but not yet tried it - this turned out beautifully! I saw your quilt on Instagram, it's fantastic. Lucky partner! I think your swap partner will love this mini to bits!! I love that you are so good at pushing yourself with new techniques. You are an inspiration Deb- trying new techniques all the time! And from this old duck, I have no idea what the 'step down' technique is? Off to Google it.... This mini is just delightful! I hope you partner appreciates all the efforts that went into it, including using your precious AMH stash! It looks beautiful Deborah, I especially like the way you added some ghost flowers with your hand quilting. This quilt is so beautiful, Deborah. 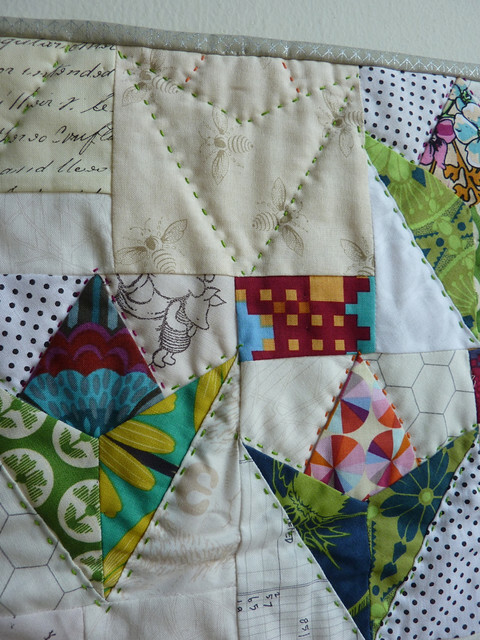 The hand quilting really makes the project special. Absolutely gorgeous finish Deborah! I tend to shy away from Y seam. I've done a few but always try to stay away from them. Your did a superb job they look amazing. 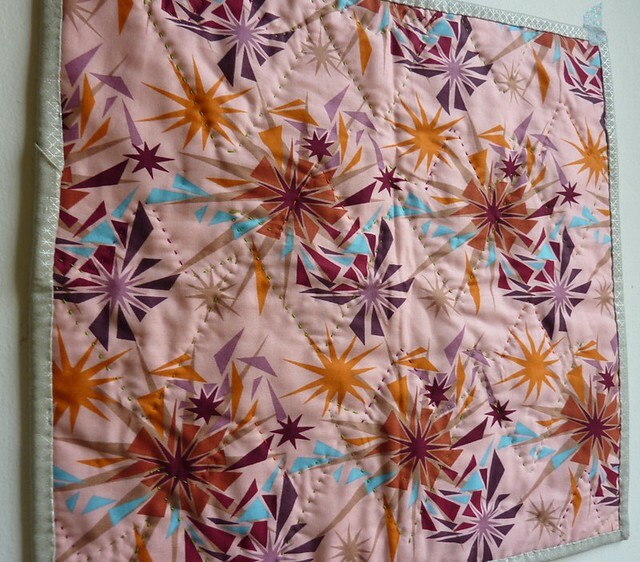 And they hand-quilting makes it even more special. I'm sure you partner will love it. Thank you for linking up to Sew the Library. YOUR SWAP PARTNER IS ON CLOUD 9 AND IS DELIRIOUSLY HAPPY! 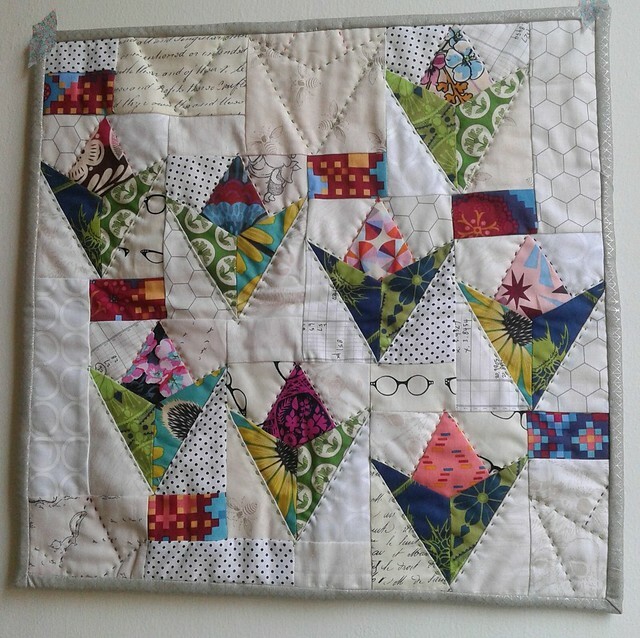 I am the lucky swap partner and I love this miniquilt! I have Sarah Fielke's book and I've done the step down mini and I really enjoyed it. I haven't yet tried this Night Garden pattern, but I plan to! I am so unbelievably touched that someone so far away would take so much time and care to make me such a beautiful item to admire every day. I can't say enough thank you's! I can't wait to read through your blog! How great that you were not put off by new techniques and instead decided to jump in and learn new things. Do I also spy a bit of clever fussy cutting? I love this, especially how you have reversed the light and dark of the original. Neat mini and good for you that you are trying out new techniques! You are doing well girl!